Swiss-Belinn Pangkalan Bun is the first 3-star international hotel in Pangkalan Bun - the west of Central Kalimantan. 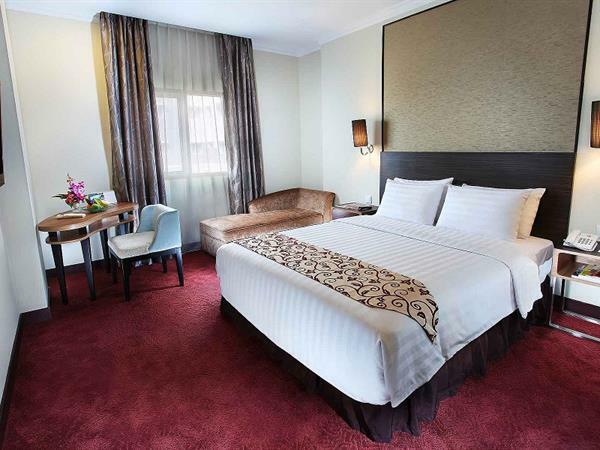 Strategically located in the heart of the city, the hotel is only 30 minutes from Kumai Harbour and around 20 minutes from Iskandar Airport. Swiss-Belinn Pangkalan Bun offers exquisite facilities and services. Featuring 93 well-appointed guestrooms incontemporary design including non-smoking and specially appointed rooms for the disabled, the hotel is ready to welcome both business and leisure travellers. The hotel offers delightful dining in a combination of Bar, Restaurant and Lounge serving international and local cuisines in a sumptuous buffet and á la carte menu for breakfast, lunch and dinner. Selections of snacks, cocktails and mocktails are also served at the bar and lounge. For business travellers to Pangkalan Bun, the hotel has three meeting rooms and a ballroom complete with comprehensive meeting facilities, ideal to host a small to medium meetings. For relaxation, guests can enjoy exercising in the fitness centre or pamper themselves in the spa which offers a selection of treatments. Stay in touch with all the latest news in Pangkalan Bun. The hotel features 93 well-appointed guestrooms incontemporary design, comprising 69 Deluxe, 13 Grand Deluxe, 6 Executive Suites, 4 Royal Suites, and 1 Presidential Suites,including non-smoking and specially appointed rooms for the disabled.